Designed for dye sublimation, architectural, engineerning and construction firms, the GO Rio 900X delivers superior line sharpness and photo quality with continuous tones, smooth transitions and a wide color gamut. Specifically designed for dye sublimation, architectural, engineering, construction, mechanical design and GIS applications, the 900X can help you put your best foot forward. Offering a maximum media size of 42", the 900X gives you a high-quality professional printer at an exceptional price point. The 900X incorporates a new generation "Wide Model" print head (4 color sections, 360 nozzles/color), which will enable the highest resolution printing for Aqueous, 2880 dpi. The 900X delivers superior line sharpness and photo quality with continuous tones, smooth transitions and a wide color gamut. 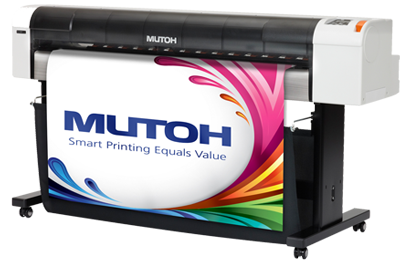 Offering various print resolutions for different applications, the 900X delivers a high speed 360 dpi printing 676 sq/ft/hr. The CMYK printer can be utilized with a variety of ink sets. Full featured 42" high-quality full color CAD printer with beautiful print quality at a surprisingly affordable price. High productivity - print speeds up to 676 sq. ft. per with a maximum media width of 42.5". The 900X prints almost twice as fast than its closest competitor to help you get through jobs quickly and efficiently. Industry’s highest resolution for a CAD printer. Print up to 1440 x 2880 dpi. Latest generation piezo variable drop inkjet head. Print in beautiful CMYK with a state-of-the-art print head. Easy to install and operate. GO printers are well known for being the easiest printers to operate in the industry; this saves you valuable time on every project you print. One year on-site warranty provides peace of mind.